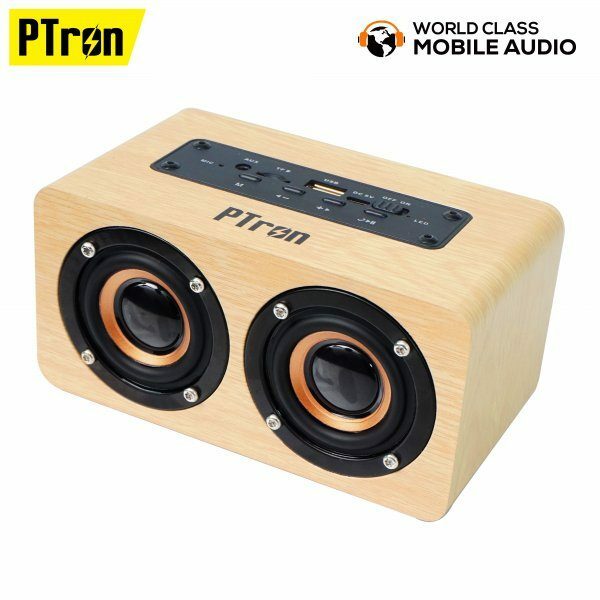 PTron Quinto Portable Bluetooth Speaker has been launched in India which is a retro-looking wooden speaker. It includes precisely positioned drivers to provide a large, consistent sound output for indoor and outdoor listening. PTron Quinto comes with two 5W speakers, high-performance inbuilt microphone, long-lasting 1200mAh battery, and multi-connectivity options. Equipped with Bluetooth v4.2 it has 10 m range and capable of delivering rich, balanced low-end and high-end sounds. It comes with 4-hour playtime with a rechargeable battery. It allows to stream music using USB or Micro SD card and also has AUX support. The control buttons on this speaker are on top and are intuitive and well built for volume control, music playlist control, call control, and mic. The user can answer calls directly from the speaker, without having to reach out the device. It is available at an introductory price of INR 1349 on PTron’s online store, www.ptron.in and on leading e-commerce portals Flipkart and LatestOne.com.